Are you located in Denmark and want to know more about the online gambling laws that apply to you? 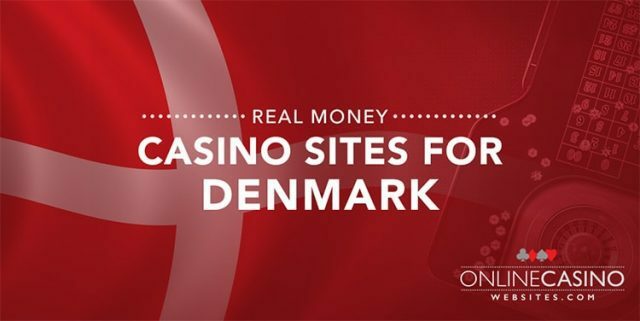 Learn about the state of online gambling legislation and information about the online casinos that accept Danish players for real money play. Is online gambling legal in Denmark? 1. To maintain the consumption of gambling services at a moderate level. 2. To protect young people and other vulnerable people from being exploited through gambling or developing a gambling addiction. 3. To protect players by ensuring that gambling is provided in a fair, responsible and transparent manner. 4. To ensure public order and to prevent gambling as a means to support crime. Online gambling is included within this piece of legislation, stipulating that it is 100% legal for a license to be granted to an online casino operator providing real money roulette, blackjack, baccarat, punto banco, poker and slot games. However, a casino operator must first receive approval of a license from the Danish Gambling Authority (known as Spillemyndigheden) to legally be allowed to service the Danish market. In short, yes it is perfectly legal to gamble online in Denmark provided you are playing at a site that has received official licensing from the Danish Gaming Authority, which we have explained in more detail below. The licensee is able to perform gambling activities in a financially and professionally responsible manner. The applicant, members of the management or board or others who have controlling interests in the company ́s operations must not have displayed a conduct that would give reason to believe that the company will not be managed properly. The company must be established in Denmark or in another EU or EEA country. 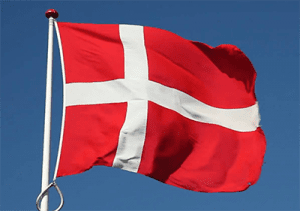 If the company is not established in Denmark or in another EU or EEA country, the Danish Gambling Authority may issue a licence if the applicant has appointed a representative who can be approved by the Danish Gambling Authority. In addition, any individual seeking a Danish gaming license must be over the age of 21, have not previously filed an application or be under a process for reconstruction, insolvency or debt restructuring. An applicant must not have received a criminal conviction that would give reason to believe that there exists a risk of misuse of the access to working with gambling. If approved, the casino will receive a license valid for five years and be subject to an annual fee dependant on the amount of gambling revenue earned per calendar year. The license holder will be subject to operate under many strict rules and regulations, including adhering to a duty of disclosure, sales and marketing as well as administrative provisions. As explained above, Danish players are allowed to gamble online provided the casino site has adequate licensing from the Danish gambling regulator, Spillemyndigheden. There is one casino site in particular that has recently gained a Danish license and that is one of our top-rated casinos, Leo Vegas. Leo Vegas announced it would be entering the Danish market in December 2016, which is much welcome news for Danish players as Leo is a renowned casino site with many awards under its belt including multiple accolades for best mobile casino. Leo Vegas offers Danish punters an instant-play platform where hundreds of games can be accessed download-free, with software provided by some of the best names in online gaming including NetEnt, Microgaming, Felt Gaming, Play’n Go and Evolution Gaming. In addition to its Danish Gambling Authority license, Leo Vegas also holds casino licenses from the Malta Gaming Authority and the UK Gambling Commission, two of the most esteemed jurisdictions for online gambling. If you are unsure, check the FAQ section of an online casino before signing up for an account. Leo Vegas offers a dedicated live chat function, so you can ask a customer service rep any questions you may have before handing over any of your own money. Danish players can sign up for an account at Leo Vegas Casino, an award-winning online casino, where new players can claim a welcome package that includes matched deposit bonuses and free spins on selected slots.